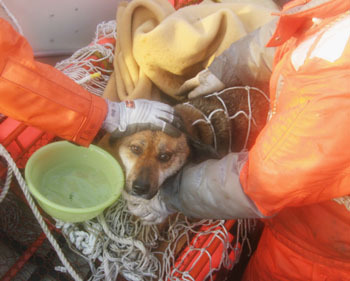 Dog saved after three weeks at sea. This entry was posted in By Jason and tagged Japan, rescued, tsunami dog. Bookmark the permalink.